Video report by ITV News Science Correspondent Alok Jha. One of the most ambitious space missions ever embarked upon has ended after 12 years with the Rosetta probe crashing into a comet. The spacecraft has been tracking the comet called 67-P - where the Philae probe landed - for the past two years. And scientists today deliberately crashed the probe into the 4km-wide ball of ice and rock at 12.23pm this afternoon, ending the £1 billion mission. 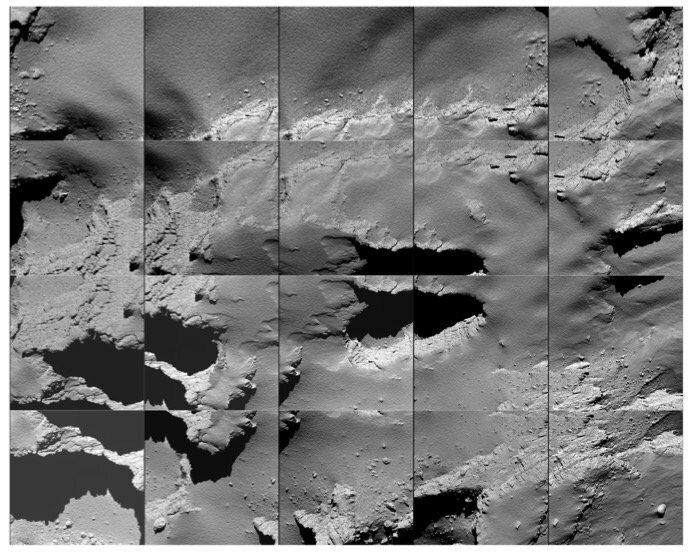 The European Space Agency has been keeping the world informed on Rosetta's journey with photographs taken by the probe and animated tweets. The decision to crash the spacecraft was taken because the comet is heading too far away from the Sun for its solar panels to generate enough power. Scientists captured stunning images and hoped to capture valuable data in the final moments before its impact. To mark the end of the probe's successful mission, the ESA released a short animated video detailing Rosetta's final moments before touching down. It also hints at a potential revival in future. The European Space Agency (ESA) Rosetta expedition began in 2004 at a total cost of £1bn. A note signed by the team and left on the main control room door at the European Space Operations Centre said: "Farewell Rosetta! We will miss you."